We first told you about Music With Sara back in December of 2010 when she released her debut album. Now I´m so proud and happy for her to be able to share with you her second albúm-Más Canciones en Español. I first found out about Sara thanks to my daughter and her then family daycare. Sara used to visit the daycare once per week to play and sing canciones en español with the kids. That was hands-down Camila´s favorite day of the week! One day they sent her home with her music teacher´s brand new CD and I have to admit my husband and I were instantly hooked to her voice, the simple style of the music and the songs we knew from our childhood, but needed her to unlock for us. Sara also volunteers her time at Franklin Magnet School; yes, the same school my girl will be attending! In fact, the voices of kids you hear in the CD are all in the Franklin Spanish dual language program! Sara is so committed to the school as a parent and a music teacher, that she volunteers her time and profits from this CD to the school´s music program. Sara has had a couple of her songs animated into video, but she´s never performed herself in front of the camera. 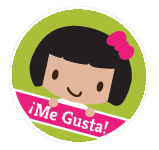 So we´re thrilled she prepared this video of her singing “Paloma Blanca” just for the SpanglishBaby familia! Watch it here then scroll down to preview her songs and to enter the giveaway!! 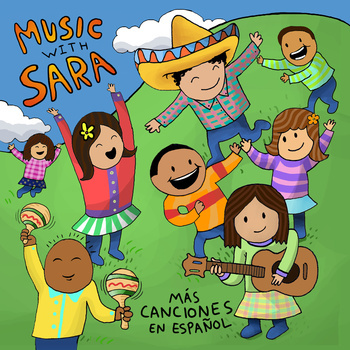 If you want a children´s music CD in Spanish you´ll be happy to play over and over again for your child, then check out Music With Sara´s BandCamp page where you can download both CDs for $5 each. This giveaway is now closed. Congratulations to the winners: Nicholle, Marcela, Patricia, Monet, and Cindy ! We’re giving away a Music With Sara: Más Canciones en Español CD to FIVE winners! Winners may choose a hard copy or digital download. To enter all you have to do is check out the songs in the playlist above and tell us which one is your favorite and why. 2. Follow us on Twitter and tweet about this giveaway including a link to the post http://bit.ly/zqJ58B, @SpanglishBaby and @itsmusictime . Copy the link to the tweet in an additional comment on the giveaway’s post. This giveaway ends Friday, March 16th at midnight PST and is open to everyone over 18 years of age in the continental U.S. Void where prohibited. No purchase necessary. Check out the Giveaway Rules. Tough to choose, but…Una mosca parada en la pared is so fun! Los Pollitos dicen my fave from childhood. We love Sara. She was our music teacher last year. I think Duermete Nino because I love lullabies. Maybe because my daughter have sleeping issues. I Like (love) Spanglishbaby on facebook. I love “Un Elefante Se Balanceaba” because it’s fun to play with the kids. I actually used the song this morning in my classes! How funny! My daughter has an obsession with elephants right now, so Un Elefante se balanceabe would be one of her favorites! “Un Elefante” is our favorite! I’m loving Dos Ojitos because of the upbeat sounds!! I had to comment – I’m so glad to read the favorites out there – but I have to say – among my students “el Dragon” is their favorite. Students LOVE it because we play a game where we march along really slowly with big stomps in a big conga dragon line = then at the fast part – we run really fast. The person in the front (the dragon head) tries to reach the person at the end of the line (the dragon tail). It’s soooo fun. I loved “Paloma Blanca”, “Carnavalito Humahuaqueño” is misspelled, and H is missing. I am suscribed to the blog. I love “El Dragon” because … really … who doesn’t like a good song about a dragon? 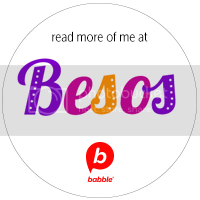 I love the Duérmete Niño song – so sweet, and makes me look forward even more to the arrival of my first little one in May! 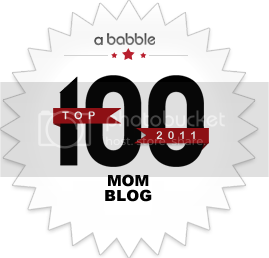 I am a FB fan of SpanglishBaby. I recently cleaned up my FB account, but SB is one thing I definitely kept in my news feed! I like Poloma Blanca because I love birds! I liked El Dragon – it’s so funny to sing about a beast with “buena digestion”! Zapatero – who doesn’t love a song involving shoes? Los pollitos is my favorite, my son loves Un barco chiquitito. I like Spanglish Baby on Facebook. 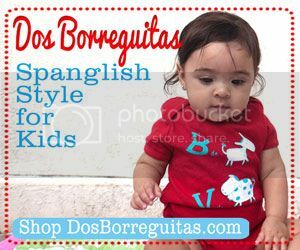 I follow Spanglish Baby on twitter. My kids always love 3 elefantes and los pollitos, but they discovered “Ring Around the Rosies” awhile ago and I’ve been trying to learn La Vibora de la Mar to play something similar with them in Spanish. I LOVE Sara’s rendition! I Like SpanglishBaby on Facebook!!! I follow Spanish baby on FB. A mi bb y yo, nos encanta “Una Mosca Parada”. It’s just fun to listen to! I love the “el elefante” one. How fun!